Mark F. Dunkle | Parkowski, Guerke & Swayze, P.A. Mr. Dunkle is the immediate past Chair of the Delaware Chapter of the American College of Mortgage Attorneys. By nomination of the Governor and confirmation by the Delaware Senate, Mr. Dunkle served two terms on the State Public Integrity Commission. Mr. Dunkle also serves by appointment of the Delaware Supreme Court as a member of the Supreme Court Rules Committee. He is the past Chair of the Governor’s Magistrate Screening Committee, past President of the Kent County Bar Association, past Secretary of the Terry-Carey Inn of Court, past President of the Capital City Rotary Club, and a past editor of In Re, the Journal of the Delaware State Bar Association. 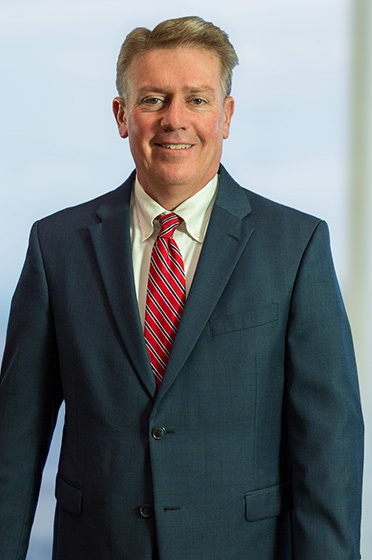 Mr. Dunkle has served on the Delaware Board of Bar Examiners and is a member of the Real Estate Section of the Delaware State Bar Association. Mr. Dunkle has an AV rating from Martindale-Hubbell Peer View Ratings. In the land use development field, Mr. Dunkle has represented Dogfish Head Brewery, LS Power, Home Depot, Wal-Mart, Dover Sheraton Hotel, the Mills Corporation, Calpine Corporation, juwii solar inc., and Silicato Development among others, in complex land use approval and land acquisition matters. He successfully litigated in the Delaware Supreme Court as a matter of first impression the right of eminent domain condemnation for wetlands mitigation and routinely handles complex, multimillion dollar land transactions throughout all three Delaware counties. Mr. Dunkle frequently lectures on Delaware land use law and has published several articles in that area, including Aesop on Annexation published in Delaware Lawyer. Mr. Dunkle graduated with distinction from the University of Virginia in 1982, received his J.D. from Emory University School of Law in 1985, and is admitted to practice in Georgia, Delaware and Pennsylvania.